Learning of a new pregnancy is always exciting for me, even when they’re surprises or entirely unexpected. Once morning sickness sets in though, I become exhausted and feel completely useless. 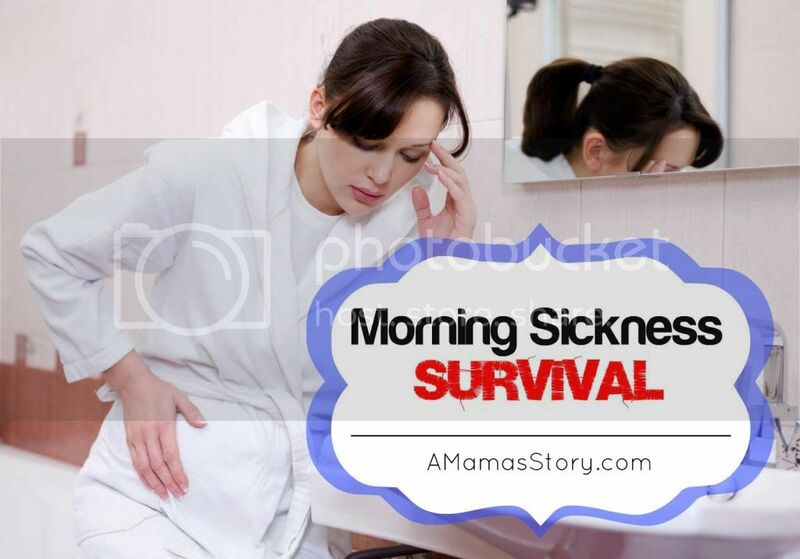 Morning sickness takes me down quickly, and since my first pregnancy in 2001, I’ve collected every single morning sickness remedy that has come my way. Some are typical. Some are weird. When experiencing all day sickness though, one is open to anything. To help other expectant mamas, I’m sharing these remedies with you. Some of these worked for me, some have worked for others, and since no two pregnancies are alike (even in the same mama), I hope you’ll find something here to help you. As usual, please remember that the information presented is for educational purposes only. Please discuss your own situation with your midwife or OB who is familiar with your personal history and lifestyle. Eat every two hours. One of my midwives told me to eat something with protein, and no larger than the palm of my hand, every two hours. Lemon essential oil. Keeping a bottle of lemon essential oil with me all the time was a life-saver. Sometimes I inhaled straight from the bottle, every evening I diffused it in my bedroom, and other times I applied a couple drops to my collarbone or my hands, cupping them around my face and inhaling deeply. Lemon water. It’s hard to stay hydrated when you’re feeling queasy, but it’s important to keep up an adequate water intake. Adding a lemon wedge to my water helped tremendously. Eat what sounds good. Ah, a toughy, I know. It can be hard to eat what sounds good, especially when what sounds good isn’t healthy. I tried to stick to a well-balanced diet as much as possible, but on some days the only food to stay down was scrambled eggs while on others, bread or oatmeal. And then the next day, something else entirely would work. Chewing gum. Gum was another saving grace. It took awhile to find a brand and flavor that wasn’t too strong, but once I did, I always kept a pack in the car, my purse, my pocket, etc. I think it helped keep the excessive saliva in check, helped freshen breath, and distracted my ultra-sensitive nose from the strong odors around me. Milk Thistle. MT was the biggest help one time around. I’ve read stories of several women who’ve taken milk thistle to ease morning sickness. Some theorize that the liver supportive nature of milk thistle helps the body cope with the extra toxins being released into the body as the liver works overtime during pregnancy. If you choose to try milk thistle, speak with a knowledgeable herbalist. While in the health food store, I picked up a reputable brand; but after reading the ingredients, found several supportive herbs considered contraindicated for pregnancy. Supportive herbs are fine, but they must all be considered safe, so please read the ingredients and ask the clerk if they have an herbalist on staff (many do). Look for a brand that’s 80% silymarin. Peppermint or Spearmint Oil. Diffusing peppermint oil has been successful for some women but I found it too strong and opted for spearmint. As with the lemon essential oil, I diffused spearmint oil or put a few drops into a bowl of water and set it on my bedside table. Wild Yam. Several herbalists and naturopaths have suggested wild yam to help ease morning sickness, but consult with your provider before taking to ensure proper dosage. Rest. I know this is easier said than done. I found that I was sicker in the evenings and confident that it was the result of being tired. Rest when you can. Don’t feel guilty if that means playing a DVD for the little ones while you lie on the couch. Candied ginger followed by a bit of protein. Not to be confused with ginger-flavored candy, you can find an inexpensive bag of candied ginger at your local health food store. During my fifth pregnancy, one of my midwives suggested eating a small bit of candied ginger when I felt a wave of nausea, followed by protein, such as a cube of cheese. Because a few studies may link ginger to miscarriage, many herbalists suggest only consuming small, culinary amounts, and not large doses. I only nibbled on one or two cubes a day. Chamomile and spearmint tea. Chamomile tea is good for digestion as well as a calming tea for bedtime. A reader asked about this because there are a couple of articles online that suggest chamomile as an abortifacient. I, and a few other herbalists, looked into these and found that the dosages suggested as “dangerous” were grossly out of proportion for a typical cup of tea, making it impossible to drink that much. I have yet to find chamomile listed as an abortifacient in a reputable Herbal, but because of the concern, as always, please only use items you feel comfortable using. I drank spearmint tea in the evenings, when my tummy was the most sensitive. Have a couple of crackers, dry cereal, or dry toast before getting out of bed and get up slowly. The classic! This helped some mornings. Emetrol. A nurse recommended this during my 2nd pregnancy. It’s essentially flat cola. I picked up a bottle from my local grocery store, hoping it would take the edge off. I know women who said it worked for them, but it didn’t help me much. Prenatals with B6. During that same 2nd pregnancy, the doctor wrote a script for prenatal vitamins with extra B6; it was another no-go for me. Unisom and B6. During my 4th pregnancy, my doctor told me to take 25 mg of B6 w/half a Unisom (Doxylamine Succinate) tablet, twice a day. Naturally minded himself, he felt this was the only acceptable conventional treatment for women with typical morning sickness. Mama’s Red Raspberry Brew. Known for helping with nausea, Red Raspberry Leaf is also wonderful to prepare the womb for labor and often recommended during the third trimester. Since RRL is a uterine stimulant, I limited myself to one cup of tea during the first trimester. The RR Brew from Bulk Herb Store was extra delicious with the refreshing addition of a small amount of peppermint. 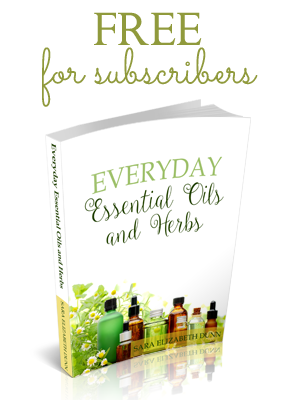 This blend also includes nettle and alfalfa, which are great nutritive herbs. In my third trimester, I made a big pitcher of this blend and enjoyed a few cups a day. Relaxation and breathing exercises. Sometimes when I felt a wave of nausea, it was after moving too quickly or feeling anxious. Stopping and taking a few deep breaths to focus settled my tummy. I used the Hypnobabies program with 3 of my pregnancies and they offered a CD for morning sickness, which helped. Again though, I wonder if it was the result of relaxation and closing my eyes for a half hour of rest. Limiting screen time. A couple years ago, I was diagnosed with aura migraines. I learned that those who are prone to them are especially sensitive to the light from laptop screens, some TV’s, tablets, etc. I limited myself to 10 minutes of screen time every hour, and it helped tremendously. Sea-bands. These wrist bands are suggested by several care providers and many women have reported they worked. They did nothing for me, but if they work for others, they may help you! Candies. Sometimes the Preggie-Pops and similar candies helped, but during one pregnancy, they made me feel sicker. Other women have had success with typical candies, such as Jolly Ranchers. Beans and Legumes. I read that eating beans and legumes would help ease morning sickness. After my first batch, I couldn’t handle the smell of them. Magnesium lotion. Several friends have experienced success using magnesium lotion. This didn’t help me, but after meeting with my naturopath for a check-up, my magnesium levels were A-OK. I asked a more experienced herbalist about it, who explained that this usually only helps those who are already deficient. Eat a high protein snack before bedtime. My endocrinologist recommended this during my fourth pregnancy. After waking in the middle of the night trembling, sweating, and feeling incredibly nauseated, he suggested a high protein snack before bed to keep my blood sugar stable through the night. I noticed improvements immediately. Real ginger-ale and other drinks. Fizzy drinks didn’t help me except during my first pregnancy, but some women have had great success sipping real ginger-ale, 7Up, or Sierra Mist. Activity and fresh air. Some women report feeling better after a good workout. Strenuous workouts made me feel sicker, but a nice stroll in fresh air or gentle stretches helped. Di-Gize. I was hesitant to share this one, because it comes with a few cautions. There are oils in this blend that are considered contraindicated for pregnancy, particularly in the first trimester. So unless you’ve spoken with a reputable herbalist, naturopath, midwife, or your provider, use with caution. It has several tummy soothing oils and women have used it successfully. It’s a mainstay in our home and has eased tummy bug symptoms on the spot. Some pregnant women have reported that simply getting a whiff of the oil helped ease the queasies, while other women put a diluted drop around their ears. While I’m a naturalist, I believe there’s a time and a place for conventional medicine. During two of my pregnancies, I had extreme sickness. With my first, I wasn’t able to keep down food or water but once we found a medicine that helped, I was able to eat. Fortunately, morning sickness eased up as soon as I entered the 2nd trimester. My fifth pregnancy was worse. I was sick in the beginning and lost a good bit of weight. Then around halfway through my pregnancy, nausea and vomiting returned. As for the baby, he was fine, healthy, and was my biggest. After the birth, I continued being sick, an entire 1/2 inch of my hairline fell out, as well as other patches, and my chemistry lab was “indicative of someone with an eating disorder.” By the time he was 3 months old, I was in a size zero–way too thin for my height. Looking back, I believe Diastasis Recti played a part in my continuing sickness, but I was too stubborn. During the pregnancy, I felt I was doing my duty by avoiding the “big guns.” By my final month, I came to grips with reality and talked to the CNM about medicine, since not eating or drinking as I should wasn’t good for either of us. While I think there was a physical issue that led to the symptoms, I believe I went too long. After working as hard as it could for the baby, my body simply collapsed after the birth. If I knew then what I know now, I would’ve talked to her sooner. Here’s the point–there’s a difference between feeling queasy and being so sick that you’re dehydrated, in ketosis, or facing risks of malnutrition. When you’re so sick that the well-being of you and/or your baby is at risk, don’t feel guilty for needing or taking medicines. Do what you need to take care of yourself and your baby. There you have it! I know it’s a LONG list! Did you learn something new? If something worked for you that’s not listed, please share in the comments below. Thanks, Mary!! I hope others find it useful. I’m in my first pregnancy and it has been all day sickness for me for months now! The two things from this list that definitely helped me were eating every 2 hours and eating protein before bed! I’ll definitely try some of the others too, thanks! Thanks for visiting, Kristen. 🙂 I hope something on the list helps ease some of the symptoms. I loved this, Sara Elizabeth! I have so been enjoying reading your blog and following you. Your blog is for sure a blessing to many of us! Thanks, Jessica!! You’re such a sweetie. 🙂 Glad to have you visiting. Great tips! I am one of those women who are unfortunate to have severe “morning” sickness all nine months and have to be on nasty prescription medicine. Luckily with this pregnancy (#4), the sickness isn’t as bad after 20 weeks, I have found that if I take 100mg of vitamin B6 at night and in the morning, it seems to help tremendously (at least this time around). I have researched that if you are magnesium deficient, you are more likely to suffer from morning sickness. I am hoping to get some magnesium oil and try that out! Maybe next pregnancy (God willing) will be better. Have you heard of a magnesium causation to morning sickness? Hope the rest of your pregnancy goes well! thank you for talking about HG!!! i had it and almost died. the number of people who gave me crap for taking drugs even while watching me wither away was astonding. At one point a total strager asked if i was doing drugs (my face was so sunken in and i looked horrible, all of my veins had been blown from IVs) but heaven forbid i take a low risk drug to save my life and my kidneys!!! I totally agree that if you can go the natural and drug free way than thats amazing and fabulous (and im totally jealous!) but thanks for bringing awareness and not shaming those of us who cant! Absolutely!!! My hair was falling out so much after my fifth child that a stylist asked if I was undergoing chemotherapy. I often say that I’m not against conventional medicines; I’m against the unnecessary and overuse of them. And from my own school texts, HG is considered one of those conditions in which use of conventional meds is likely necessary. Thanks for visiting. Great list! B6 & Unisom work really well for me with morning sickness nausea. They don’t do a thing to help my vomiting, which lasts all 9 months, but they do help that miserable, all day nausea that is so debilitating. Thank you for mentioning hyperemesis and the extreme cases. We get tired of hearing about saltines and Sprite when we know our “morning sickness” is far more severe and terrible than that. Gabby, I agree. It was very frustrating when I was incredibly sick and all I heard was, “Just keep eating” or “Have you tried saltines?” For most women, going the natural route works well to at least take the edge off, but for those who are dealing with HG or HG-like symptoms, it almost feels as though they don’t believe just how sick the woman is. With my first child, I knew I could experience morning sickness but had no idea that it would be as bad as it was. The first time I called the OBs office, the nurse said, “What do you expect? You’re pregnant!” I felt ridiculous for having called her and felt I was being a wimp. But the 2nd time I called, I was more firm, explaining that while it was my first pregnancy, I knew that what I was experiencing couldn’t be normal. Fortunately, they finally consulted with the OB who agreed that I needed to be on something. Thank u sooo much for this list. Everything I’ve been trying to google and ask friends are in one list. I’m definitely trying the lemon, protein, and eating every 2 hrs. Thanks a million!!! You’re welcome!! Hopefully those things will help. If not, there’s plenty more to choose from. 😉 Congrats on your pregnancy! Another time to call in the big guns or at least alert your midwife or doctor is when you are bleeding in the throat. This last time, my throat became so irritated I had streaks of blood in my vomit. Something else that helped me. Blending ginger ale and ice. 1/2 lemon a bit of water, ice blended together. Great list! Here are my tips for pregnancy nausea–some of the same, some different. It certainly is a difficult thing to get through, feeling so horrible while worrying about getting enough nourishment for two. I’m very grateful that in my current pregnancy, the nausea ended around 15 weeks, and since then I’ve only had slight queasiness from food aftertastes that is easily resolved by brushing teeth or chewing gum. What a great list! Something that helped me a TON was Alfalfa capsules. Thanks for sharing your experience, Diana!! I know a few folks who said that chlorophyll helped them tremendously. I would like to invite you to HomemakingHearts.com on Fridays for a brand new link-up; it would be a delight to have you join us! Do you know if any of the ingredients in the Jarrow brand of Milk Thistle are contraindicated? I’ve heard that is the best brand to use. But I’m nervous! I’m not at all familiar with that brand. 🙁 I’ll have to check into it. I use one by Solaray. Sara, thanks so much for this list of morning sickness tips! I have linked to it from my blog. This is a wonderful resource for mothers!! Thanks for visiting, Diana!!! Morning sickness can be so debilitating. Hopefully one of your readers will find something to help. Hi Sara! Lovely to meet you. Thank you so much for linking up to the Thriving on Thursdays linky party last week. It was lovely of you to pop by. Great advice, even though my baby making days are over, I’m sure it will help a lot of people. Just wish I knew a few of these things when I had my babies 12 and 10 years ago. I’m featuring your post at tomorrow’s party. Hope to see you again.